Look at the below chess board for 5 seconds and then look away. No cheating. Now try to reconstruct the board in your mind. How many pieces can you correctly place? Now answer this question: do you play chess? What does this have to do with concepts-based teaching and learning? If you understand chess, you saw a pattern in how the pieces were organized. An expert sees the board and sees how the rules of game are creating a certain outcome. Without an understanding of the principles of chess. a novice has to memorize each piece individually. Teaching concepts gives students the mental framework to make meaning out of what would otherwise be random information. Understanding the concepts and principles that organize information allows students to see meaningful patterns instead of discrete bits of information. Thus teaching through a conceptual framework means students can both remember and use new learning more efficiently. The tweetable phrase: Knowing the rules of game matters. 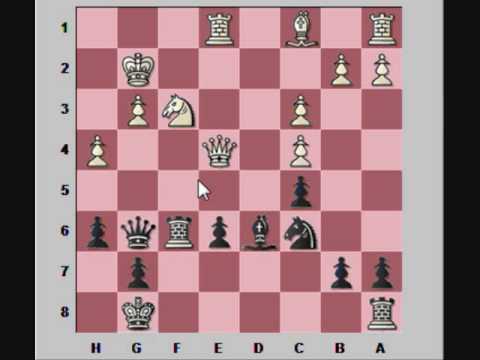 In one study, a chess master, a Class A player (good but not a master), and a novice were given 5 seconds to view a chess board position from the middle of a chess game (see below). However, these results occurred only when the chess pieces were arranged in configurations that conformed to meaningful games of chess. When chess pieces were randomized and presented for 5 seconds, the recall of the chess master and Class A player was the same as that of the novice—they all placed 2 to 3 positions correctly. The apparent difference in memory capacity is due to a difference in pattern recognition. What the expert can remember as a single meaningful pattern, novices must re- member as separate, unrelated items. Previous postTry this: let students UNCOVER big ideas! Next postWhat’s missing from STEM?